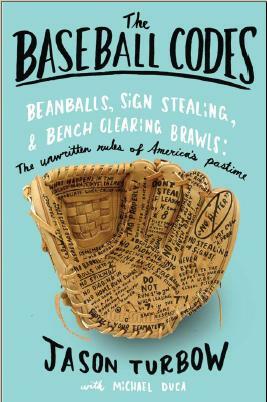 Courtroom Meets Code in the World of Civil Action Over Baseball Fights: Jose Offerman, Come on Down! So now we know what the legal community thinks of the unwritten rules. In 2007, while playing for the Long Island Ducks of the independent Atlantic League, Jose Offerman charged the mound. While there, he hit used his bat to hit pitcher Matt Beech in the hand and catcher Jonathan Nathans in the head. (See photos of the incident here.) Now Offerman is on civil trial for damages borne from assault, and people on both sides of the courtroom are trying to explain in legal terms just what happened. While it’s unclear how hitting Offerman in the ribs rather than the leg would keep others from getting hurt, Beech added that such information should be assumed knowledge for all ballplayers. 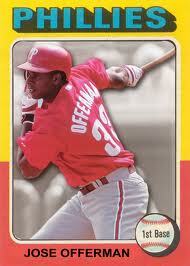 Offerman, whose 15-year big league career included stops with seven different teams and two All-Star appearances, is counted among that group. The Code came into play again when Joseph Klein, the Atlantic League’s executive director, stated for the record that “plunking is wrong.” Klein has a long and storied career in all levels of baseball, so his opinion is not uninformed. “Hitting players intentionally is not part of the game, as I see it,” he said, although based on the AP report of the trial he did not indicate whether he was talking about baseball in general or the Atlantic League specifically. Klein recalled that he, too, was the victim of a plunking. “The ball hit me right here,” he said, pointing to the base of his skull, just behind his ear. Smith asked whether Klein ever retaliated for that pitch. Klein replied that although he didn’t charge the mound, the pitcher did get his comeuppance. Klein said he smacked a line drive back at the very same pitcher the next time he faced him 10 days later. As for Offerman, I love him for the fact that, unrelated to any of this, he led the National League in errors three out of four seasons (nearly doubling up his closest competition in 1992) with the Dodgers. This led Jay Leno to joke that Offerman was so upset over his fielding that he decided to end it all and jumped in front of a bus. It went right through his legs. If that’s not worth a few bucks whatever civil judgment is about to be rendered, I don’t know what is. Commanding the inner 1% of the plate, and the 12 inches further inside that: $0. Blasting a liner off the pitcher who plunked you: Priceless.